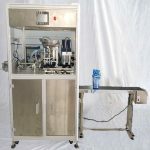 1.Small bottle dry powder filling capping and labeling machine is mainly used for antibiotics liquor and freeze-dried injection bottle's filling and stoppering in pharmaceutical industry. 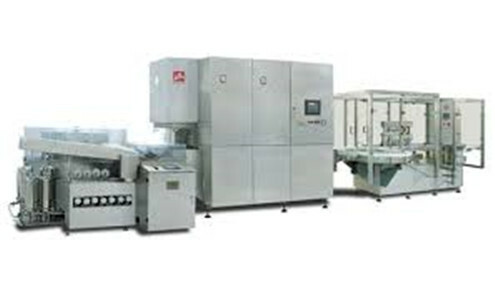 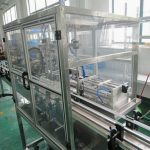 2.The machine adopts all the servo drive, linear track filling and linear stoppering structure. 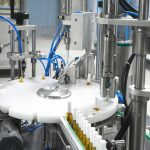 quantified filling(weighing after filling), stopper infeed, stoppering, removing unqualified products to bottle out. 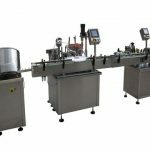 4.This machine can be used independently as well as complete a compact line with vertical ultrasonic cleaning machine and sterilization dryer. 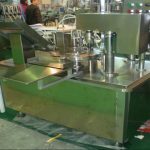 1.Small bottle dry powder filling capping and labeling machine adopts linear track filling and linear stoppering structure. 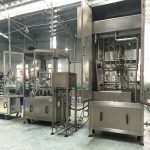 2.Antibiotic bottle from sterilization dryer are conveyed to starwheel station by unscramble bottle pannel. 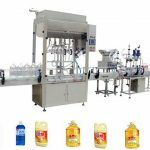 3.The starwheel put the bottles into fanshaped pad continuously and the fanshaped pad put the bottles into walking beam by 6 bottles in a group. 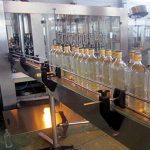 the bottles linear transmited and finish the process of weighing before filling, quantified filling, weighing after filling, stoppering.